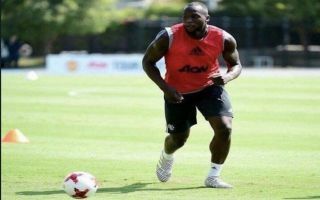 Manchester United striker Romelu Lukaku believes that the club’s title rivals are seeing a ‘different’ side to the team this season. The Red Devils are already six points off the pace in the early stages of the latest Premier League campaign, having lost two of their opening four matches. Back-to-back defeats against Brighton and Tottenham have left United playing catch-up already, but Sunday’s 2-0 win against Burnley has put the club back on track before the international break. A brace from Lukaku secured three points for Jose Mourinho’s men at Turf Moor which was well deserved, given the fact that they dominated possession and created plenty of clear-cut goalscoring opportunities. The performance was similar to the one they produced at Old Trafford in the first half of their game against Spurs a week earlier, with the only difference being a more clinical edge in front of goal. According to the Evening Standard, the Belgian striker has revealed that Mourinho has been working on a new style of play in training recently, which he believes is already paying dividends on the pitch. He told reporters on Monday: “We are Manchester United, this is how we have to play in every game and against Tottenham we did the same. “The people will now see a different side of us. “Everything that we worked on in the last couple of weeks is coming out now – lots of quick passing, runs in behind, a lot of action and a lot of chances. The tough games continue for United when the Premier League resumes in a fortnight as they travel to Vicarage Road to face a Watford side with an impressive 100% record so far this season. However, if Mourinho’s men continue to display the attacking intent that they have recently and Lukaku keeps providing the goals upfront, there is no reason to believe that the Red Devils cannot emerge from that clash with another important three points as they bid to climb back up the table.